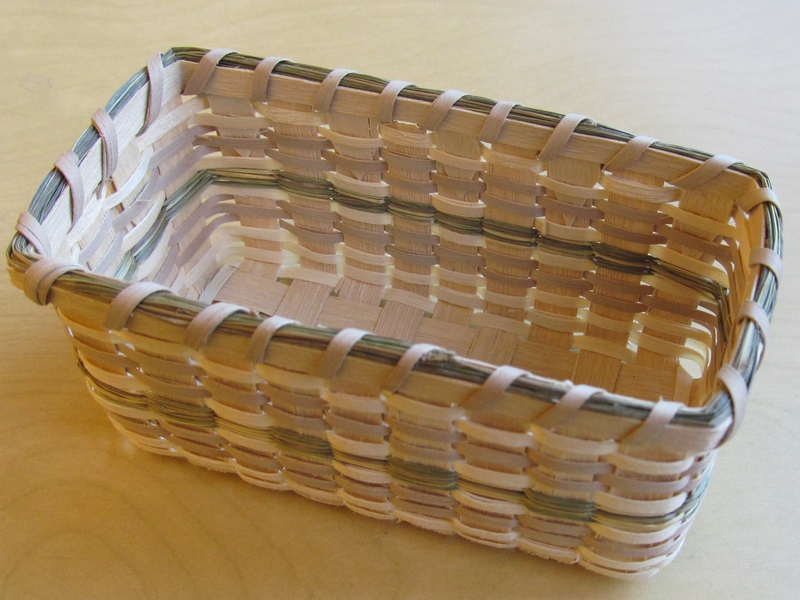 This basket, by Denise Pouliot, showcases a combination of sweetgrass and ash splint. 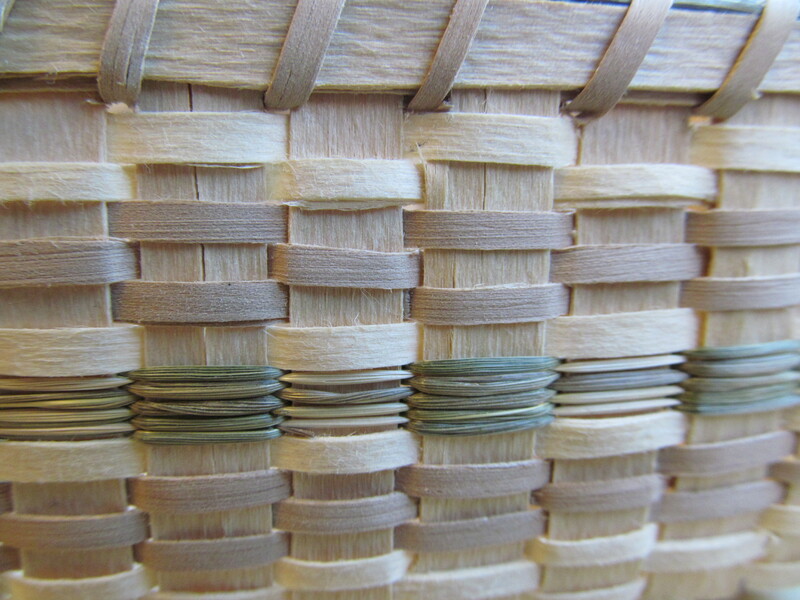 Behind its deceptively simple yet beautiful design is the story of Abenaki basketmaking tradition. Abenaki basketmaking is more than a hobby, it is a way of life that emphasizes various aspects of Abenaki culture: family and friends, the teaching of the next generation, and sustainability. As an Abenaki basket maker, Denise Pouliot embodies all three. 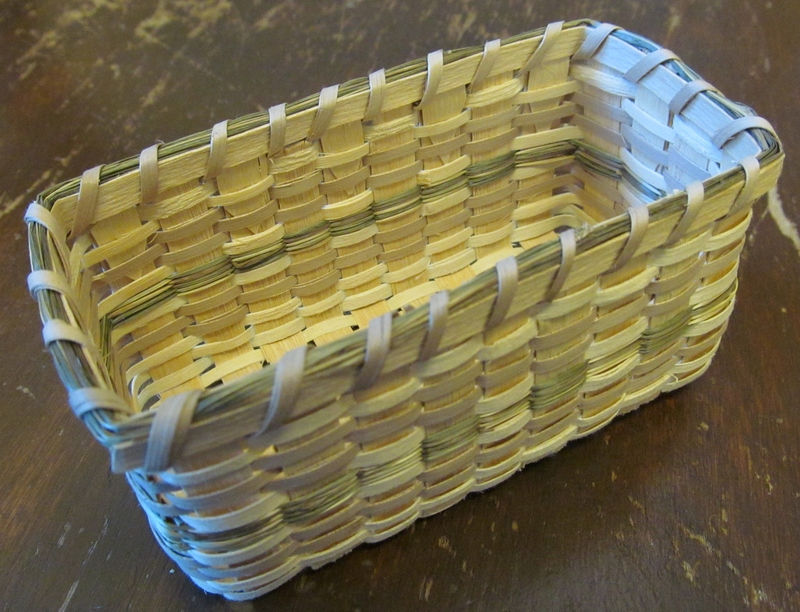 Denise Pouliot often demonstrates her basketmaking at various events, such as at the Mt. Kearsage Indian Museum and at various craft fairs (Pouliot, "Basket making Activities" 5). At the 2010 Mt. Kearsarge Indian Museum Winter Celebration, "Denise Pouliot had a Christmas tree decoration demonstration with a tree setup with a dozen or so traditionally made ornaments with a large ash tree topping star" ("Mt. Kearsarge Indian Museum" 5). The attendees were able to make their own ornaments to take home, which encouraged them to appreciate the skill and effort required to make a basket (5). These types of events continue the basketmaking tradition while also bringing attention to Abenaki culture. Like the ash splints of a basket, each individual basket maker is important but their strength is only increased through collaboration with others. 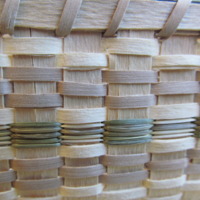 As each ash splint is woven together to increase its strength and durability, so too do basket makers collaborate with others to strengthen their bonds and perpetuate Abenaki culture. Denise and Paul Pouliot often collaborate with other Abenaki artisans and have even spoken of creating an Abenaki Artisan Collaborative ("Abenaki Artisan Collaborative."). The collaboration also includes other areas of Abenaki culture. 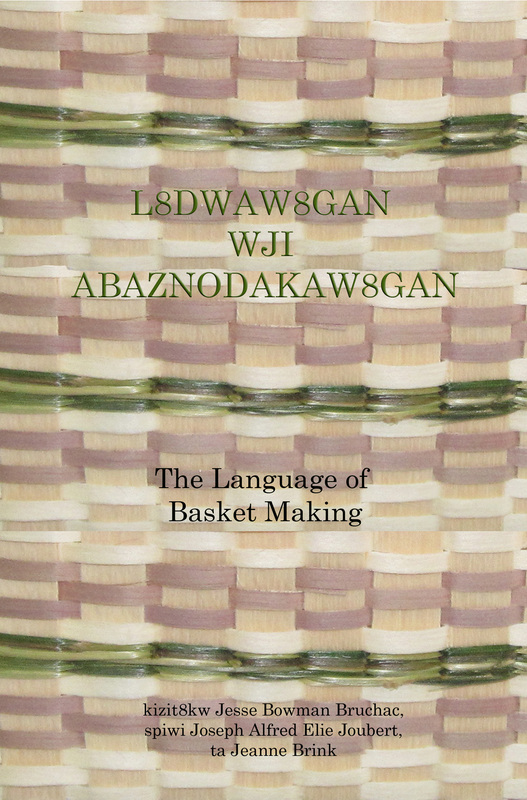 The cover (Shown Below) of the language book, L8dwaw8gan Wji Abaznodakaw8gan: The Language of Basket Making by Jesse Bruchac, is a photograph of one of Denise Pouliot's baskets who was honored to have it included ("Book Review" 14). 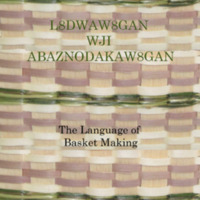 Pouliot has also participated in various Abenaki language camps that combine both language and baskets: "As part of the language camp, each afternoon was dedicated to ash splint basket making ("Abenaki Language Camp" 6). The students of the language camp also learned various basket making terms. For example, ida ni aln8ba8dwa means basket making and abaznodaal means a basket made of ash (Bruchac 12). By using basketmaking terms in Abenaki, the language camps combine two aspects of Abenaki culture that were once in danger of being lost. The many Abenaki basket makers and students of language that go to these events make that no longer the case. These language camps accomplish a variety of goals. First, they generate an interest in speaking the Abenaki language (Pouliot, "Abenaki Language Camp" 6). Second, they bring attention to basketmaking as a way of learning a language and illustrate that they are both linked together in Abenaki culture (6). Third, they foster a sense of community amongst those of Abenaki heritage and encourage the younger generations to get excited about their culture (6). 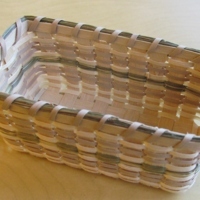 As important as it is to make baskets and learn Abenaki, it is far more important to demonstrate the process of basket making and teach the language so as "to pass on these traditions to our next seven generations" ("The Speaker Speaks" 14). Events and demonstrations help to ensure that various Abenaki traditions and the language will not be lost. "Band Council Leaders." Cowasuck Band of the Pennacook Abenaki People. Cowass North America, n.d. Web. 3 Feb. 2013. Bruchac, Jesse. "Say That in Abenaki." Aln8bak News Jan-Feb-March. 2010: 12. "Goals Statement." Cowasuck Band of the Pennacook Abenaki People. Cowass North America, n.d. Web. 3 Feb. 2013. Pouliot, Paul. "Abenaki Artisan Collaborative." Aln8bak News Oct-Nov-Dec. 2009: 6. ---. "Abenaki Language Camp." Aln8bak News April-May-June. 2010: 6. ---. "Basket Apprentice Program." Aln8bak News July-Aug-Sept. 2009: 9. ---. "Basket Apprentice Program Continued." Aln8bak News Oct-Nov-Dec. 2009: 7. ---. "Basket Making Activities." Aln8bak News April-May-June. 2010: 5. ---. "Book Review." Aln8bak News Jan-Feb-March. 2010: 14. ---. "Mt. Kearsarge Indian Museum." Aln8bak News Oct-Nov-Dec. 2010: 5. ---. "The Speaker Speaks." Aln8bak News July-Aug-Sept. 2009: 14. 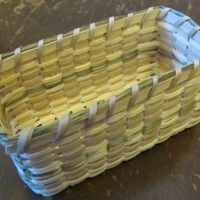 Pouliot, Denise, “Sweetgrass Basket by Denise Pouliot,” Indigenous New England Digital Collections, accessed April 23, 2019, http://dawnlandvoices.org/collections/items/show/290.